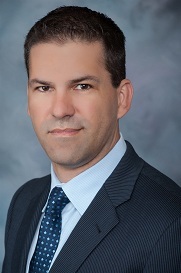 Esteban Herrera is COO at HfS Research, where his prime focus is developing and delivering compelling and rapid research, data, insight and practical advice for our buy-side enterprise clients. He also over sees the company's commercial operations. Esteban focuses on the issues and challenges of outsourcing buyers, ensuring they have the best insight to create and manage their outsourcing relationships. His responsibilities include providing outsourcing buyers with solid research that leverages both deep expertise and the power of social media. A committed globalist, Esteban is an outsourcing thought leader who is passionate about the opportunities of globalization and specialization in the industry. A popular speaker and author, he advises organizations on issues of business process and IT outsourcing on- and offshore. Through his involvement in hundreds of enterprise outsourcing initiatives, he has developed unique insight and the ability to ask the right questions to set an organization on the correct outsourcing path. A respected practitioner, adviser and researcher, Esteban has worked with Global 2000 companies in the United States, Asia, Latin America and Europe, helping them manage the entire lifecycle of back office transformations. He has lived and worked on four continents and is fluent in Spanish and Portuguese. He has run outsourcing delivery organizations in India, North America, Latin America and Europe, and has advised on over 100 ITO and BPO transactions. Esteban started his career at Accenture, delivering “offshore” enterprise solutions before that was a common term. At Infosys, he was responsible for delivery of services to major Fortune 100 clients. He has spent the last decade as an outsourcing advisor to global enterprises, founding and managing The Concours Group’s Outsourcing Advisory practice and most recently as a Managing Director with Alsbridge. Esteban’s work has appeared in publications such as MWorld and Directorship. He is a co-author of the influential book Outsourcing: The Definitive Point of View, Applications and Implications published by Wiley & Sons in 2006. In 2003 he led the landmark Research Life after Outsourcing, which was the first to comprehensively focus on the behaviors and processes that can make or break outsourcing success. His chief pastimes involve his wife, Patricia, and baby son Lucas. And when he's not wasting his time watching the Dallas Mavericks he can be found tuning into Speed TV to watch Formula 1 racing. Esteban is a graduate of Babson College, where he majored in Entrepreneurial Studies and Marketing.